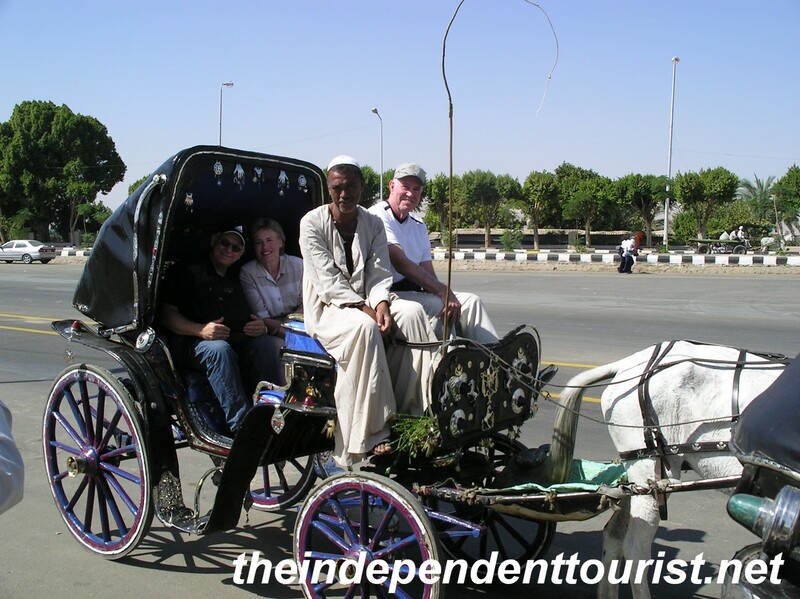 About 400 miles (640 km) south of Cairo sits the city of Luxor, on the Nile River. This was one of my favorite spots in Egypt, since there is so much to do here. 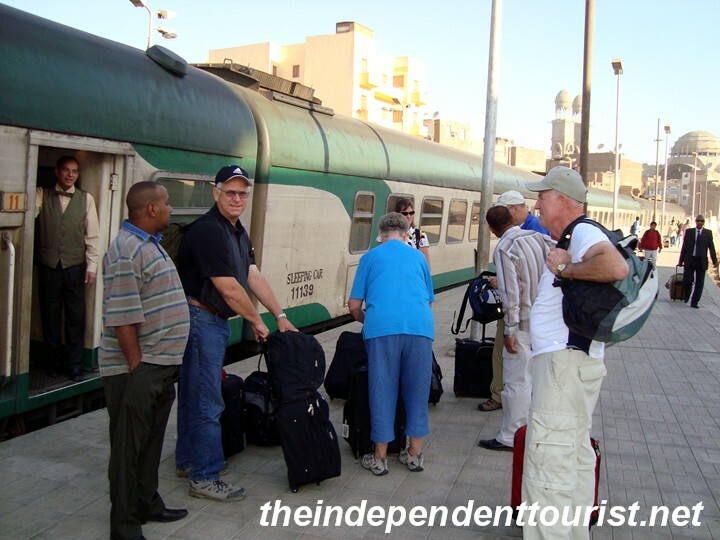 We arrived by overnight train from Cairo. We didn’t get much sleep on the train, but the sleeper car accommodations were fine and it was a fun way to travel at least once. Arriving in Luxor after an overnight ride from Cairo. 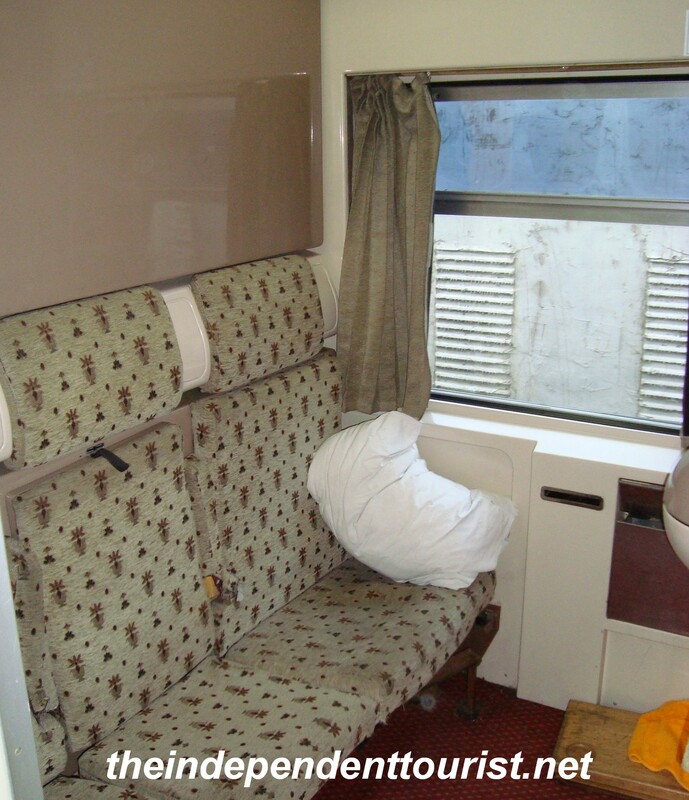 The interior of our sleeper car for the overnight ride to Luxor from Cairo (there is a bed that folds down above the couch). 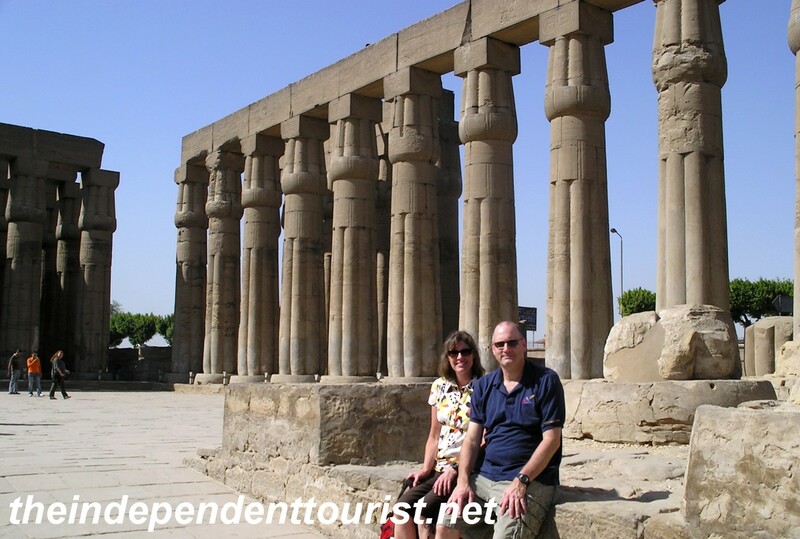 Luxor makes a good base for exploring the region. There is a lot to do in this area, we spent 4 days and could have easily spent more. For a map of places we visited in Egypt, click here. Luxor is on the east bank of the Nile, and in addition to the temple at Luxor, the huge Karnak temple complex is just two kilometers north along the Corniche (I will do a separate post on Karnak). There are lots of restaurants along the Corniche, and it’s fun to sit outside in the evening watching the sun set over the Nile. You can walk or get a carriage (bargain hard!) or bicycle to take you between the two temples. My sister, brother in-law and father in-law taking a ride from Luxor to Karnak. Just across the west bank of the Nile is the Valley of the Kings, among many other tombs and temples. A bit farther afield, but doable by day trips, are the temples of Dendara (north) and Edfu (south). 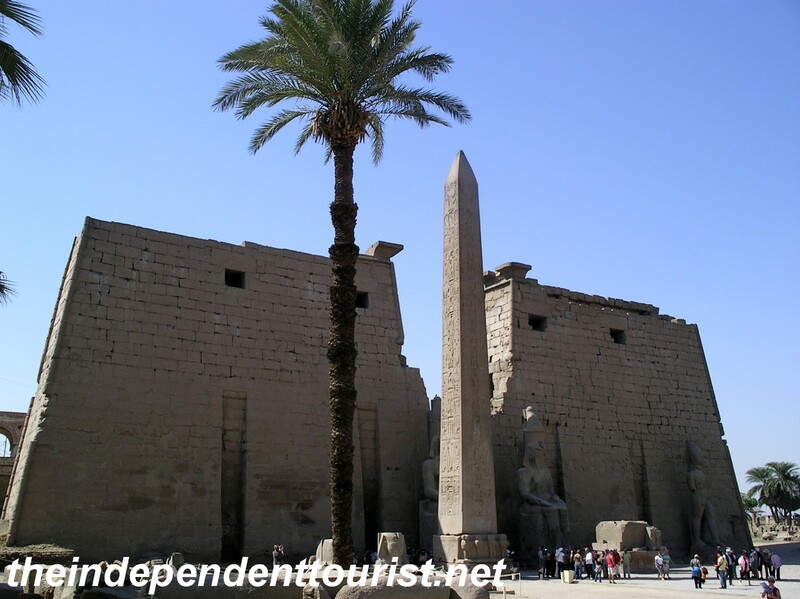 This post will concentrate on Luxor itself. The temple sits close to the bank of the Nile and is in the heart of the town. The First Pylon, or entrance to Luxor Temple. 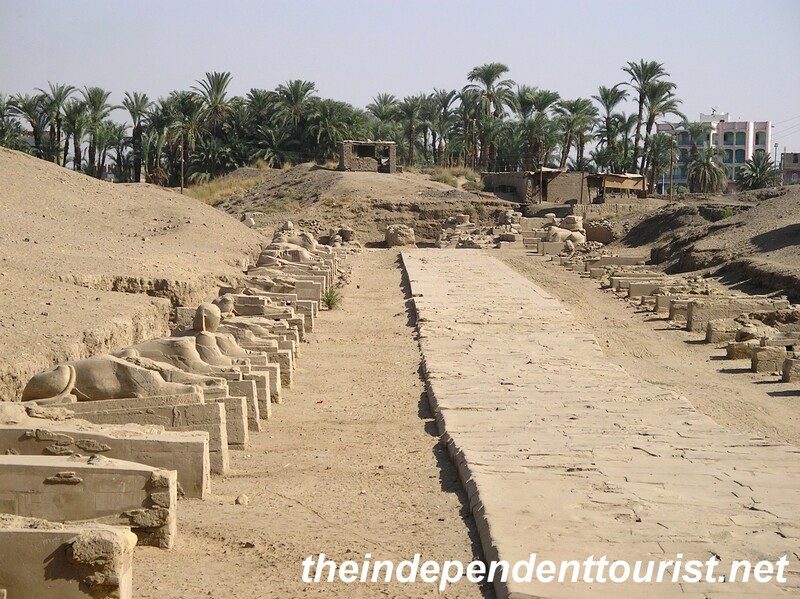 It dates to the time of Amenhotep III (who reigned 1390 – 1352 BC) and was already a tourist site by the time of the Greeks and Romans! Statues of Ramses II, in the Courtyard of Ramses II. The Colonnade of Amenhotep III at Luxor Temple. The temple site was rediscovered and excavated in 1881, having been covered by sand and silt over the centuries. A small village had sprouted up on top of the temple and even today there is a mosque from this time still enclosed within the temple ruins, an odd juxtaposition. A chamber of the Luxor Temple with hieroglyphic writings. The Avenue of the Sphinxes, which connected Luxor with Karnak. 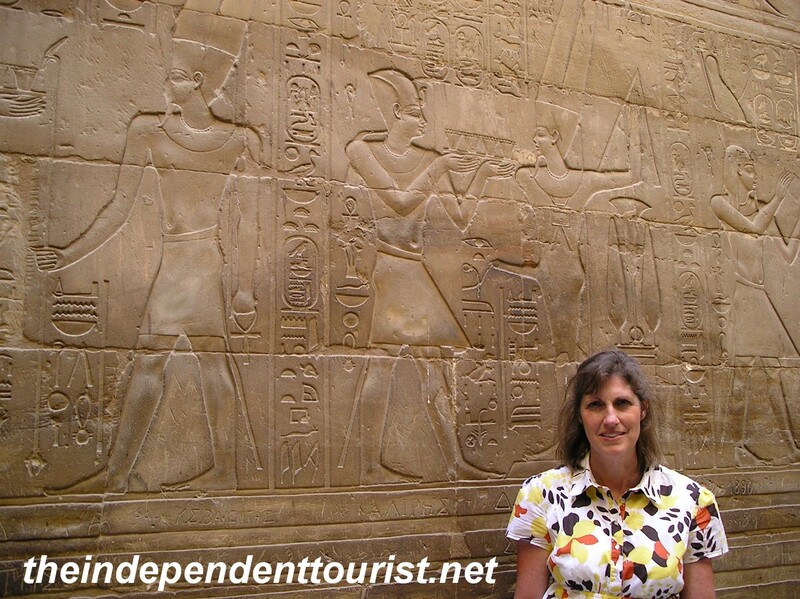 I strongly suggest visiting the temple at Luxor first and then visiting Karnak. Luxor is great, but the scale and size of Karnak is so massive, it makes Luxor almost seem puny, so work your way north. Also, Luxor Temple is lit up at night and is quite striking. Be sure to visit then too. 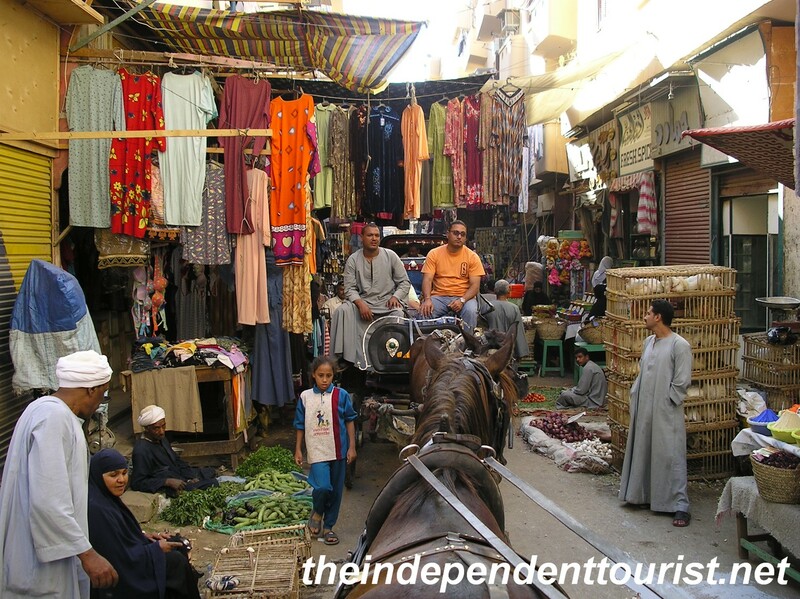 Taking a carriage ride through the markets of Luxor. 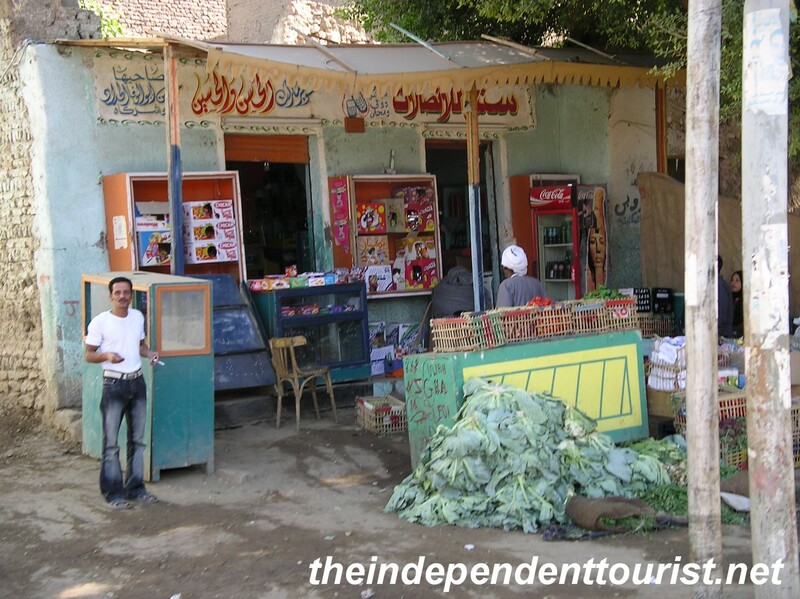 A local market in the outskirts of Luxor. 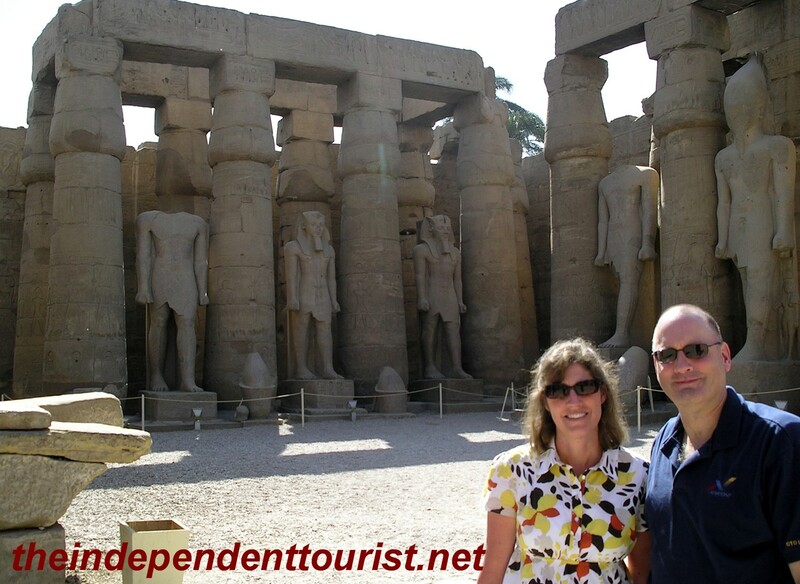 Both temples can be easily seen in a day, leaving time to wander through the interesting markets in Luxor and maybe taking a dip in your hotel’s pool afterwards. 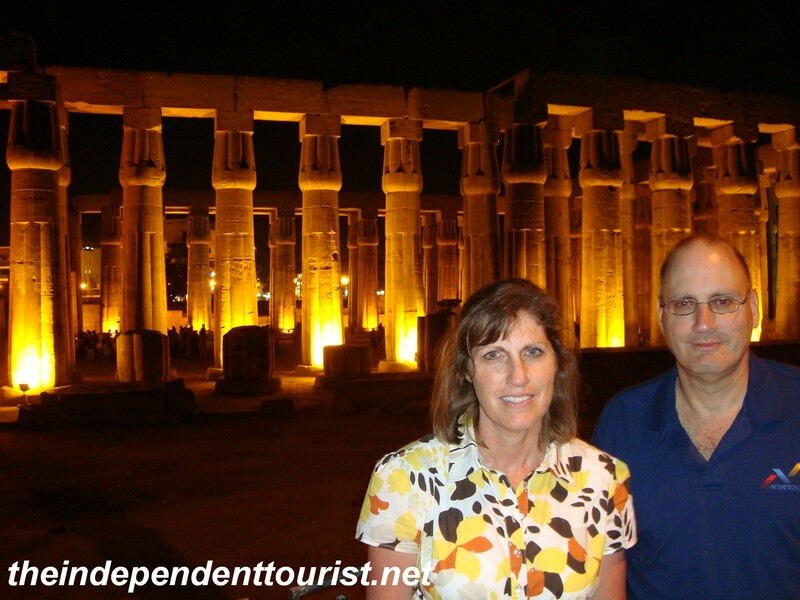 Posted in Egypt and tagged Luxor Egypt, Luxor Temple, Visiting Egypt on January 20, 2014 by Paul Terry.